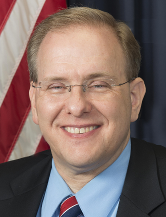 Rep. Jim Langevin, D-R.I., reintroduced legislation this week that would require companies that experience a breach to notify affected individuals within 30 days of the breach’s discovery and that they coordinate with the Federal Trade Commission to do so. The Personal Data Notification and Protection Act was first introduced in March 2015, but was reintroduced in this congressional session not long after Equifax announced a data breach of consumer data nearly a month and a half after they had detected it. Members of both the House and Senate have called for congressional hearings to investigate the Equifax hack, and a lawsuit has been filed against the company for failing to adequately protect consumer financial data. A recent Comodo Threat Intelligence Labs investigation also found that Equifax executives’ passwords were available for sale on the Dark Web.